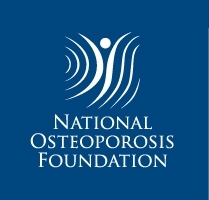 Osteoporosis is a very common disease, and data on its epidemiology is important for health care strategy implementation. Brazil is a developing country; its population is aging, leading to an expected increase in hip fractures and their undesirable consequences. Assess the incidence of osteoporotic hip fractures and subsequent mortality in Southern Brazil as part of a large epidemiological study aiming to reinforce the data for FRAX Brazil. This study evaluated all admissions for fragility hip fractures between April 1, 2010, and March 31, 2012, in the city of Joinville, including both genders of patients 50 years old or older, which corresponded to 19.2% of the local population. Joinville was chosen because it is the third largest city in the south of Brazil, with a representative population predominantly composed of descendants of European immigrants. 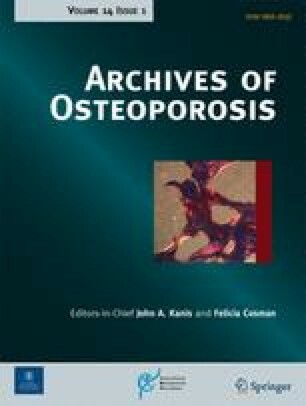 There were 213 cases of hip fractures, predominantly in Caucasians (n = 204, 96.7%) whose mean age was 77.7, ± 10.5, of which 143 (67.1%) were women (79.5 ± 9.6 years) and 70 (32.9%) were men (74 ± 11.3 years). The annual incidence of hip fractures was 268.8 for women and 153.0 for men/100,000 inhabitants. In the 60 to 64-year group, the overall incidence was 92.1/100,000, with an age-related increase of 1410.1/100,000 in the 80 to 84-year group. The mortality rate during hospitalization was 7.5%, and 25% died during the 12 months following their fractures. The incidence of hip fractures among the oldest in this predominantly Caucasian population living in Southern Brazil was similar to that of European populations from the northern hemisphere. The annual incidence of fragility hip fractures among people in their 80s was 59 times higher than that among people in their 50s. The mortality rate was 4.3 times higher in the first year after hip fracture than in the age-related local population. Sergio Ragi Eis is deceased. This paper is dedicated to his memory. We acknowledge the work of the Document Sector employees of the Hospital Municipal São José, Centro Hospitalar Unimed and Hospital Dona Helena, in Joinville, SC. We further cordially thank Ms. Mercedes Terezinha Weber Silva for her support in telephone interviews with patients and Ms. Marcia Olandoski for her statistical work. The three hospitals’ Research Ethics Committees approved the study. Cases were analyzed after we obtained the informed consent form by telephone. Dalisbor Marcelo Weber Silva has received research grants from Servier do Brasil; Marise Lazaretti-Castro, Cristiano Augusto de Freitas Zerbini, Vera Lúcia Szejnfeld, and Sergio Ragi Eis are members of the committee for this study; and Victoria Zeghbi Cochenski Borba declares that she has no conflict of interest. This study was supported by the Servier do Brasil Ltda.